I think it is anecdote and conjecture now.Lost knowledge.Modern Druids have no direct connection with ancient Druids and they post dated Stonehenge. 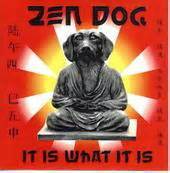 Hi Zen Dog, when did modern day Druids take off? Is it a relatively recent thing? Look up Neo Druidism on Wikipedia.I still haven't learnt how to cut and paste.I just tried it but I've forgotten what my daughter told me.Again. The movement is quite old, it began in the 18th century (so the 1700s), during the Romantic Movement/Romanticism (which was actually mostly literary). They do their thing at Stonehenge every year.Bit like if the Scientologists had an annual gathering in St Pauls cathedral or something.Stonehenge seems to have been abandoned when the original Druids came across from the continent and there was a huge cultural shift.There is evidence that people attended a twice yearly gathering at Stonehenge from as far away as what is now northern Scotland and its construction was widely organised and multigenerational.All this ended when a new religion,new technology and aggressive tribalism developed. you mention "they post dated Stonehenge". Who post dated Stonehenge (the neo-druids? ), and for what purpose? The Druids possibly came from the continent about the same time as the Amesbury archer.If they developed here they weren't around when Stonehenge was built because Stonehenge seems to predate a lot of tribal conflict.The builders of Stonehenge seemed to have worshipped their ancestors whereas later cultures seemed to have been animists. Interesting! I did not know that! So they were not from the same period. But i can see why they would be fascinated by the structure, it seems totally amasing. I assume you've been there many times! My boyfriend is English, from Stowmarket, and has never gone, and has not desire to go. Me, i'm from thousands of miles away and want to go!! It's funny. Since he is not a "tourist" none of the things i'd love to see inspire him! Oh well! He likes things over here that i most certainly dislike!! Went on a school trip many years ago. Drove past it a few times. Don't tend to revisit places.